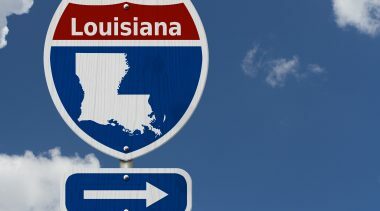 After hinting at it for several months, the White House made it clear last month: the Administration wants states to have the option of using toll financing to modernize their aging Interstate highways. Having a toll revenue stream would also make it feasible for states to enter into long-term P3 concessions to carry out these mega-projects, which should include redesigning and replacing upwards of 100 interchange bottlenecks that snarl traffic in major metro areas. There was predictable opposition from some in Congress. The ranking member of the House Transportation & Infrastructure Committee, Rep. Peter DeFazio (D, OR) was fairly typical, saying “The American people have already paid for the Interstate system through their gas taxes, and they’re continuing to pay for its upkeep through gas and diesel taxes.” Sam Graves, (R, MO) echoed DeFazio’s point, saying “I’m not a big fan of tolling. I don’t like paying for a road twice.” Their point is true but irrelevant. What we need today is to replace the aging and often obsolete first-generation Interstate system with a second-generation version, at a cost upwards of $1 trillion over the next several decades. No conceivable increase in our declining fuel tax revenue is capable of doing that. 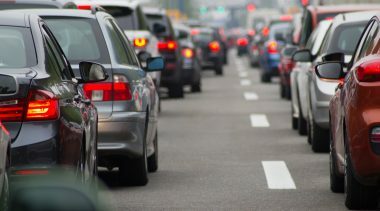 The good news is that there is growing support for Interstate tolling flexibility in a number of states, among them Indiana, Wisconsin, Missouri, Connecticut, and even Oregon, Rep. DeFazio notwithstanding. Fairly detailed tolling studies have been carried out in recent years in Connecticut, Missouri, and Wisconsin, and the Indiana legislature this spring passed transportation legislation that includes authorizing their governor to apply for federal permission to do Interstate tolling, with a similar measure pending in Oregon. Both are also planning new studies of Interstate tolling’s potential. But along with that growing interest is an array of misconceptions about what is either legal or politically viable. Much of the political discussion in Connecticut has been of the “cash cow” variety: how much revenue could be produced if tolls were slapped on existing Interstates (and quickly), with of course the idea that some of the revenues would be used for reconstruction and widening of those Interstates. That is neither legal nor politically wise. Another bad idea that keeps popping up (most recently in Wisconsin) is “border tolling”—putting toll collection at the state line (only) so that those who pay would not be the state’s voters but only those from elsewhere (especially Illinois, with its plethora of toll roads). A 2013 assessment by the Congressional Research Service found that border tolling could well violate the commerce clause of the U.S. Constitution. A third misconception is that Interstate tolls should be charged in addition to the existing state gasoline and diesel taxes. That’s what highway users face on existing toll roads, and it does mean “paying twice” for the same road. Both the toll and the gas tax are supposed to pay for the capital and operating cost of the highways in question, and since tolls must cover the full costs of the toll road, also charging gas tax on them changes that tax from a user fee to a pure tax on mobility. In the 20th century, when toll roads meant cash collection, giving toll-payers rebates on their gas taxes would have been a cumbersome, paperwork nightmare. Today, with all-electronic tolling (AET), it’s a simple modification to the tolling software. The customer’s vehicle is identified by its license-plate image. Hence, the make and model is known, and so is its EPA mpg rating for highway driving. Also known, if the tolls are charged from on-ramp to off-ramp, is the number of tolled miles driven. Simple math provides the fuel-tax rebate for each trip, and that file can be given to the state Motor Vehicles department monthly or quarterly, listing the amount of rebate owed to each customer. When state DOT people look askance at this idea, I ask them to remember the growing number of mileage-based user fee pilot projects under way around the country. A basic premise of every one of them is that the MBUF is a substitute for, not in addition to, the state fuel tax. So it should be with 21st-century tolling introduced as a true user fee for delivering and maintaining the needed Interstate 2.0. There are even signs of hope from the trucking industry, which has long opposed any further expansion of tolling, largely on grounds of “double taxation” and the “cash-cowification” of many toll roads in the Northeast. At an April Senate committee hearing on highways and freight, the president of FedEx Freight, Michael Ducker, “emphasized the importance of funding an improved highway system, with sources to include an increased fuel tax, a vehicle miles traveled fee, and congestion pricing.” Per-mile tolls are vehicle miles traveled fees, and variable tolls are congestion pricing. The latest annual tally of the cost to truckers of interchange bottlenecks on urban Interstates found that big-rigs that travel 100,000 miles per year incur an average increased operating cost of $22,676 each. At an average big-rig toll of 14 cents per mile, the toll cost of that 100,000 miles would be $14,000/year. If paying such tolls led to an Interstate 2.0 with modernized urban interchanges, isn’t that a value proposition the trucking industry should consider? The White House Infrastructure Initiative Fact Sheet calls for reform of the laws governing the Inland Waterways Trust Fund, including “establishing a fee to increase the amount paid by commercial navigation users of inland waterways.” This is in keeping with the overall principle of drawing in private investment via long-term P3 concessions to rebuild and replace “crumbling infrastructure.” Nowhere is that diagnosis more apt than with the ancient and undersized locks and dams on the Inland Waterways system. Replacing them with modern ones is the legal monopoly of the Army Corps of Engineers, which is perennially short of funding, since it relies mostly on the federal general-fund budget. The miniscule barge fuel tax paid by commercial waterway users is the only source of funding for the Inland Waterways Trust Fund. In theory, the Trust Fund pays for 50% of the cost of new or replacement locks and dams on the system, but OMB traditionally limits what gets spent each year from the Trust Fund, and there is a massive backlog of unfunded projects, that grows larger every year. So what is the response from the industry trade group, Waterways Council, Inc.? “No new user fee,” even to jump-start lock modernization and replacement. Instead, WCI president Michael Toohey proposed $8.7 billion of federal money (out of Trump’s “trillion-dollar” infrastructure effort) to fund 25 projects, with just 25% of that cost coming from the Trust Fund. In other words, the already grossly unfair system in which general taxpayers cover 100% of Inland Waterways operating and maintenance costs and barge lines cover up to 50% of capital costs would now provide even greater subsidy to the barge industry. Despite the industry’s PR about how it is the lowest-cost (meaning lowest-priced) form of bulk freight movement, it does face competition. Railroads and pipelines pay 100% of both their capital and operating costs from their own revenues. If barges had to do likewise with respect to their rights of way, who knows how competitive they would actually be. And if they turned out to be more-costly than railroads or pipelines, wouldn’t that call into question the need for a barge industry in the first place? I doubt that’s actually the case, but it makes one wonder what the industry is really afraid of. As autonomous vehicles get closer to fruition and policy makers become more interested in the technology, AV conferences and policy papers are multiplying like fruit flies. In FY 2016, there were more than 25 AV conferences around the developed world. Some, such as the Transportation Research Board/Association of Unmanned Vehicle Systems annual conference in July or the Florida Automated Vehicle Summit in late fall, are excellent while others may not be the best use of one’s time. The same is true for the policy papers: some provide innovative solutions for creating and integrating AVs into our transportation systems while others are poorly researched or out-of-date. Last month I attended an automated vehicle conference at Princeton and read the Eno Center for Transportation’s new AV policy paper. Both make excellent contributions. The 2017 Smart Driving Car Summit in Princeton was created and organized by AV researcher and professor Alain Kornhauser. Kornhauser has been researching the intersection between technology and transportation for 50 years; he also writes a useful and amusing weekly AV newsletter. The summit was divided into two days. The first day featured presentations on AV technology, safety, and insurance while the second consisted of workshops on AV planning, insurance and artificial intelligence. On the first day, AV researcher Bern Grush gave a very good presentation on how AVs could affect communities, highlighting that while most experts expect AVs to increase VMT, uncertainty about a transformative technology makes planning challenging. Adriano Allesandrini from the University of Rome gave a forceful presentation on how automated vehicles are available and on the road today; they are called buses. CityMobil 2 has demonstrated automated slow-speed buses in many European cities. 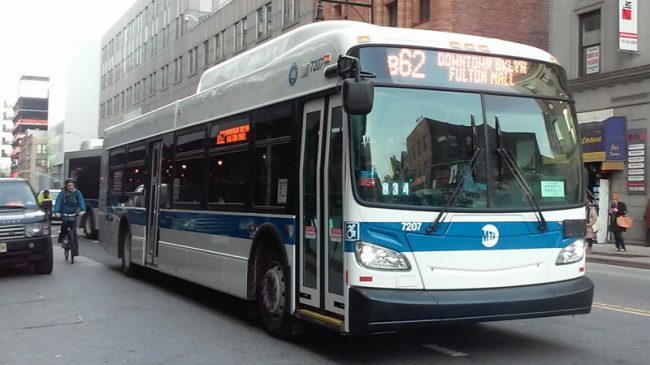 The challenge is that buses traveling at 8 mph have limited ridership potential, so the technology needs to be improved before these buses are viable. He also challenged conference attendees to think about what is best for urban areas rather than what is best for car companies. Danny Shapiro from NVIDIA presented a fascinating discussion of machine learning. He discussed how, using CAD simulation software and a graphics processing unit, researchers have been able to build a car’s brain. It is the same technology used for facial recognition software, and the improvement in machine learning over the past five years has been revolutionary. In the afternoon we had several presentations on the availability/effectiveness of AV features. Auto dealer Sheldon Sandler revealed that the two most valued AV features are a rearview camera and blind-spot warning. They are the only features that more than 60% of buyers request. 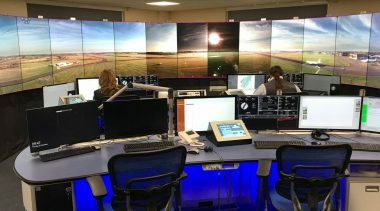 Manufacturers offer advanced AV features on a limited number of models only, and they often require customers to buy a package of features that they don’t want. For example, the Hyundai Sonata offers a safety package. But it costs more than $5,000 because in order to get the safety features, customers have to order the Limited Tech package with a premium audio system and heated rear seats. Manufacturers offer these packages because most consumers don’t put a high value on safety features. So despite what buyers claim in stated preference surveys, car buyers are not willing to pay much for advanced technology. More depressing was a presentation from the Insurance Institute for Highway Safety that showed many of today’s Level 2 AV features, such as automatic braking, don’t work in many real-world situations. In almost 50% of cases, automated braking did not engage fast enough to avoid hitting a car or a pedestrian. The conference’s second day, of workshops, was a little more uneven. The AV planning workshop was a good idea but it devolved into an opinion session about what the future of cities should look like and less about providing planning guidance to policymakers. I realize that planning breakout sessions is challenging. I have been part of a group planning an AV policy session at the TRB AV conference each year, and our first year was a little bumpy. Kornhauser has announced dates for next year’s conference and I am confident the kinks with the breakout sessions will be worked out. The Eno policy paper, “Adopting and Adapting: States and Automated Vehicle Policy,” is a 30-page report worth reading. It provides an overview of AVs and offers recommendations to states. My focus here is on the recommendations section that is broken into three parts: Regulations, Infrastructure Investment and Funding, and Research and Workforce Training. The paper suggests relatively relaxed regulations, including not overdoing reporting requirements, and creating non-binding statements or principles. It recommends states work with NHTSA on liability and safety issues. I believe this means that NHTSA should stick primarily to federal issues such as safety standards, and states should control licensing. Federalism suggests a certain balance between federal and state-level rules. I generally agree with these recommendations, as nothing that I have seen so far in AVs suggests that balance should be upset. For state AV infrastructure investment, the report recommends focusing on keeping highways in a state of good repair. The report also recommends that automated vehicles pay mileage based user fees (MBUFs) instead of a gas tax. So far, MBUF acceptance has been slow due to the development of the technology and the political resistance to paying by the mile. Eno believes that MBUFs can be implemented more easily using vehicles with new features such as AVs. The document also recommends funding research to explore how AVs may affect the broader economy. One recommendation suggests revising procurement processes so research keeps up with innovation. Governments seldom keep up with new technology because internal processes are designed to be slow and conservative. For research to be useful it cannot be developed at the typical government pace. Finally, Eno recommends investing in programs to train people for AV repair. Today’s colleges and technical schools need to think about the skills tomorrow’s workers need. And those are not the skills needed to fix a 2005 Dodge. The Eno report has two weaknesses. The first is that it examines states only; it does not look at metropolitan planning organizations (MPOs) or cities. MPOs are the federally designated planning entity for regions; they are interested in AV guidance as well. The second is the suggestion of digital short-range communications (DSRC) pilot projects. DSRC has a host of problems: it’s outdated and inferior to 5G, it takes up valuable wireless spectrum, and it is really expensive to build the needed infrastructure. For the past 18 years, part of the 5.9 Ghz band has been reserved for DSRC, but the technology is still not ready. With the advent of 5G and the need for connected vehicles still some years off, there is simply no point to pursuing DSRC. Way back in 1989 the San Francisco Bay Area was shaken by the Loma Prieta earthquake. It knocked down several sections of freeway in Oakland and San Francisco, and seriously damaged the eastern span of the San Francisco-Oakland Bay Bridge, which was eventually replaced via a massively over-budget mega-project costing $6.4 billion. All the other major bridges in the Bay Area were judged to be vulnerable to future earthquakes, and in need of significant seismic retrofitting. The six other bridges managed by Caltrans, the state DOT, have all been retrofitted in the 28 years since then. But the Golden Gate Bridge has not been. Golden Gate is owned and operated by the Golden Gate Bridge, Highway, and Transportation District. It has done the needed retrofits on the approach roads to the north and south of the bridge. But the main span, all 4,300 feet of its iconic suspension structure, remains as it was when Loma Prieta struck in 1989. The retrofit project’s estimated budget is $600 million, and the District told KPIX 5, the CBS affiliate in the Bay Area, that it doesn’t have the money. It is hoping to raise federal or state grants to help with the retrofitting. This strikes me as bizarre. One of the reasons I am supportive of tolling is that it is supposed to provide a dedicated funding source for the capital and operating costs of the tolled facility. It’s a prime example of users-pay/users-benefit. Only in this case, the bridge users keep on paying, but non-users increasingly benefit. What has the Bridge District been spending its capital budget on in recent years? According to its 2016 financial statement, in 2015 and 2016 it spent $98.8 million on capital programs—of which a mere $6.25 million was spent on minor seismic projects—about 1% of the budget for the suspension span retrofit. Most of the capital spending was on refurbishing and adding to its bus and ferry services. Those bus and ferry services brought in 23% of the District’s 2016 revenues but consumed 45% of its operating budget. Bridge tolls, by contrast, brought in 64% of total revenues, but the District spent only 17% of its operating budget on the bridge itself. This is a good example of what many people call the “cash-cowification” of tolls. There was very little capital investment in the bridge these past two years, other than a modification of the movable barrier ($18 million) and a suicide deterrent project ($1.5 million). Bridge toll payers are paying, to be sure, but not primarily for their own benefit. Does anybody besides me think it borders on obscene for a toll agency with a $246 million annual budget to defer for nearly three decades the $600 million seismic retrofit that would almost certainly save toll-payers’ lives in the next major earthquake? Instead, it spent $16 million on 45 new over-the-road buses and rehabilitated two ferries ($20 million). It’s not as if it had no ability to finance the $600 million project. The agency has no outstanding bonds and a piddling $60 million in commercial paper notes. And it increases its toll rates on a fairly regular basis. This is a toll agency that does not have its priorities straight. Several of those who spotted the trend early on—Joel Kotkin of the Center for Opportunity Urbanism, Jed Kolko, the former chief economist of Trulia, and Alan Berger, director of MIT’s Leventhal Center for Advanced Urbanism—spoke at an MIT conference on “The Future of Suburbia” in April 2016. At the conference Berger pointed to data showing that 70% of Americans live in suburbs and that technological trends such as autonomous vehicles will likely ensure that this remains true in coming decades. TRB Automated Vehicles Symposium, Hilton San Francisco Union Square, July 11-13, 2017, San Francisco, CA (Baruch Feigenbaum speaking). Details at: http://www.automatedvehiclessymposium.org/home. IBTTA/TRB Joint Symposium on Managed Lanes & AET, Hilton Anatole, July 15-18, 2017, Dallas, TX (Adrian Moore and Robert Poole speaking). Details at: www.ibtta.org/Dallas. Pension Funds Buy UK’s Only P3 Toll Road. Industry Funds Management (IFM), which invests in infrastructure on behalf of Australian pension funds, was the winning bidder for the M6 Toll, a 27-mile P3 toll road originally developed and operated by Macquarie. The tollway has never made money, and it was taken over by its lenders several years ago, and listed at £1.9 billion. The price paid by IFM was not disclosed. The pension fund also owns a large fraction of the Indiana Toll Road and Manchester Airport Group, among other infrastructure assets. India’s Asset Recycling Starts with Toll Roads. 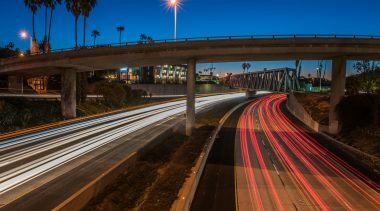 The National Highway Authority announced the first phase of its asset recycling program: auctioning off 30-year concessions for 10 state-owned toll roads, for which it hopes to receive $1 billion. The proceeds will contribute toward NHA’s goal of adding 50,000 km of additional highways in the next two years. Overall, India’s national government plans to monetize 75 national highways via its asset recycling plan. Concession for a 720-km Sao Paulo Toll Road. A joint venture of Abertis and Brookfield was the winning bidder for a 30-year toll concession for the Rodovias dos Calcados, which runs north-south through Brazil’s Sao Paulo state. Its bid was for $375 million up-front, and it has committed to invest $1.6 billion in the toll road, including the introduction of dynamic electronic tolling, traffic monitoring, weather and information services, and rescue service centers. Five Bidders for Missing Link in Santiago Ring Road. A 45-year toll concession for the southern portion of the Americo Vespucio Tunnel (14.5 km total) will fill in the last missing link in the 64.8 km tolled ring road around Santiago, the capital city of Chile. Five international consortia have submitted bids for the $800 million project, with the winner to be announced by the end of July. The tunnel will be double-decked, with twin tubes below (each with three lanes) and a single upper deck reserved for public transit. 10 Consortia Submit Qualifications for Chile-Argentina Tunnel. A concession for a high-altitude tunnel between Coquimbo, Chile and San Juan, Argentina, has attracted the interest of 10 consortia comprising 29 companies. The schedule calls for the winner to be selected in early 2018, after which the concession terms will be negotiated. LA Metro Board Drops I-710 Tunnel Plan. After years of battles by proponents and opponents, the board of the Los Angeles Metropolitan Transportation Authority voted unanimously to cease further studies and abandon plans for a five-mile, $3.2 billion tunnel beneath South Pasadena, leaving massive amounts of through traffic on surface streets. The tunnel would have filled in the missing link in the Los Angeles freeway system, connecting north-south I-710 with east-west I-210. The project had been considered for one of LA Metro’s first P3 concession projects. Gas Tax Transparency. Washington State Gov. Jay Inslee has signed a transportation bill that requires all gas stations to post a sticker on the pumps listing the amount of state and federal fuel taxes per gallon. When I was a kid, all the gas pumps I saw had such stickers, but between then and now, this practice seems to have faded away. Good for Washington State for bringing it back. It’s not as good as getting a monthly highway bill, but at least it’s a start on showing people what they pay for their roadways. V2V Mandate Slammed by Experts. A growing number of autonomous vehicle experts question NHTSA’s Notice of Proposed Rulemaking that would mandate the installation in new vehicles of a communications protocol known as DSRC. 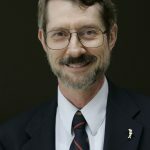 Ryan Hagemann of the Niskanen Center filed a detailed objection with both NHTSA and the FCC making a case that DSRC is an obsolete technology (https://niskanencenter.org/blog/dsrc-isnt-path-forward-connected-vehicles). This has long been the position of robo-taxi pioneer Brad Templeton (http://ideas.4brad.com/dsrc-v2v-connected-car-emperor-has-no-clothes). And on April 3, 2017, analysts from five think tanks (including Reason Foundation) sent a letter along these lines to DOT Secretary Elaine Chao with copies to the heads of NHTSA and the Office of Management & Budget. Private Bridge Under Way in East Chicago, Indiana. The entirely privately owned and financed Cline Avenue Bridge in East Chicago, IN is set to begin construction, and is scheduled to open in 2019, according to developer Figg Bridge Group. The 6,000-ft. $140 million span will have two lanes when it opens, but can be twinned when traffic warrants at some point in the future. The company has a perpetual franchise, and has agreed to provide 4.5% of its gross toll revenue to the City, to fund other infrastructure projects. 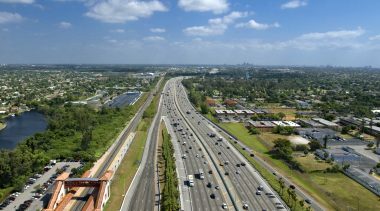 Florida Express Lane Networks Moving Forward. Florida DOT’s policy calls for express toll lane networks to be added to the expressway systems of its four major metro areas. Three of those—Miami, Orlando, and Tampa—already have local tollway authorities, and Jacksonville is nearing the completion of the first segment of what will be a tolled outer beltway, the First Coast Expressway. Jacksonville is also moving forward on express toll lanes, with the first ones under construction on I-295 and planning for such lanes on I-95 is under way. Express toll lanes have been controversial in Tampa, due to opposition from some neighborhood groups and rail-transit advocates. FDOT is revamping the project that was called Tampa Bay Express, with a greater emphasis on express bus service over the future network (now called Tampa Bay Next), and the local MPO voted on June 13th to include the network in its Transportation Improvement Plan. Lawsuit Against I-70 Reconstruction Dismissed. The Federal Highway Administration in April dismissed a lawsuit filed on civil-rights grounds against Colorado DOT’s planned $1.2 billion P3 concession to reconstruct a 10-mile section of I-70 between downtown Denver and its international airport. The project includes removing an aging elevated segment, replacing it with a depressed roadway including new express toll lanes. A major portion of the depressed lanes will be decked over, creating a park and reuniting neighborhoods on either side of the expressway. Two-Way Tolling May Return on Verrazano Bridge. New York’s MTA Bridges and Tunnels has agreed to study the feasibility and impacts of restoring tolling in both directions on its Verrazano Bridge, as requested by community groups. Thanks to all-electronic tolling, the cost savings that justified the original move to one-way tolling in the era of cash tolling and toll booths no longer apply. And the absence of tolls in one direction has led to extensive one-way truck traffic through Staten Island. Kansas, Oklahoma, and Texas Achieve Tolling Interoperability. The latest step in three-state interoperability of electronic toll collection occurred in May, when Kansas K-Tags and Texas Toll-tags become fully interoperable. K-Tags achieved interoperability with Oklahoma in 2014. These efforts are the result of cooperation among the three states, via their creation of the Central States Hub. Bayonne Bridge Raised Deck Opening to Traffic. If all goes as planned, the Bayonne Bridge’s new, raised deck will open on June 30th, six months ahead of schedule. The old deck, which did not provide enough clearance for the latest container ships, is in the process of being removed. With the new deck providing 215 ft. of clearance, ships up to the largest now in service (18,000 TEUs) will soon be able to serve the ports of New York and New Jersey which were previously inaccessible to them. The project cost $1.6 billion, financed by toll revenue. Knik Arm Bridge Project Killed. The long-planned Knik Arm Bridge near Anchorage will not be built. Originally conceived as a toll bridge, to be developed by a newly created Knik Arm Bridge and Toll Authority, it did not pan out as financially feasible based on traffic and projected toll revenue, and attempts to develop an alternative funding plan did not succeed. Gov. Bill Walker last month took steps to shut down the Toll Authority, and Alaska DOT is closing out bridge-related matters with FHWA in Washington. Arkansas DOT Studying HOT Lanes for Congested I-30. The Arkansas Highway and Transportation Department is under way on a study of improvements to a 21-mile stretch of I-30 between Benton and Little Rock. That stretch can’t handle traffic projected by 2040 with its existing lane capacity and configuration, so the study will consider the addition of a high-occupancy/toll lane each way, in addition to interchange improvements where I-30 intersects I-430 and where I-440 and I-530 converge. Georgia’s I-75 South Express Lanes Doing Well. The second express toll lanes project in metro Atlanta—reversible lanes added to I-75 south of downtown—are exceeding their original traffic projections. Instead of the projected 6,000 daily trips in the first six months, the lanes are already handling 7,000 weekday trips, as of May 2017. Maine Turnpike to Retain Cash Tolling. Not only will the Maine Turnpike Authority retain cash tolling—explicitly not converting to all-electronic tolling (AET)—but it also plans to build a new toll plaza. One factor in the agency’s decision is the large number of Canadian users of the toll road (who might not have compatible transponders). The agency is proceeding on the assumption of high-speed open-road tolling (ORT) for transponder-equipped vehicles and toll booths off to the side for cash tolling.